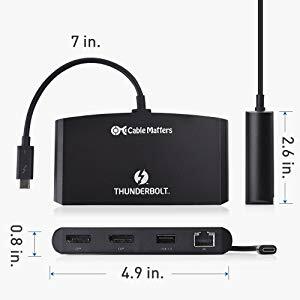 The Cable Matters Thunderbolt 3 to DisplayPort Multiport Adapter provides all the necessary ports to connect a thin laptop with a Thunderbolt 3 port. 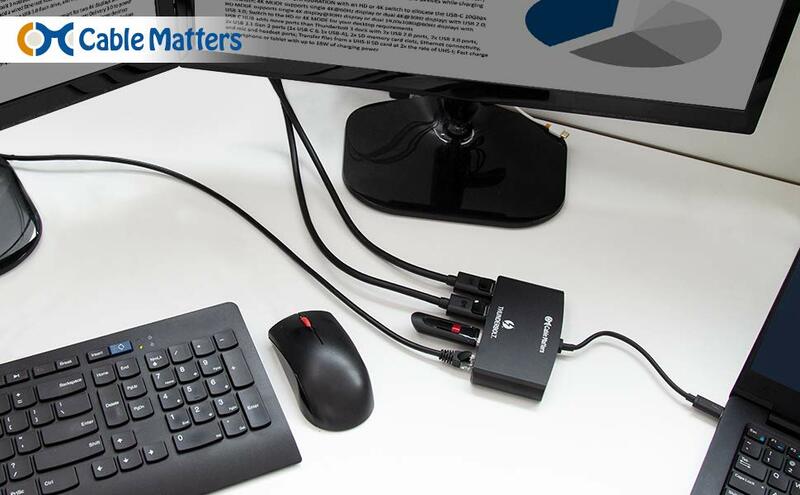 It provides instant connectivity to dual 4K@60Hz DisplayPort monitors, a Gigabit Ethernet network, and a USB 3.0 or 2.0 device. 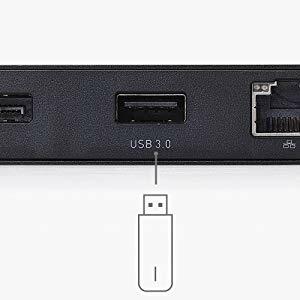 Windows and Mac compatible with computers with a Thunderbolt 3 port. 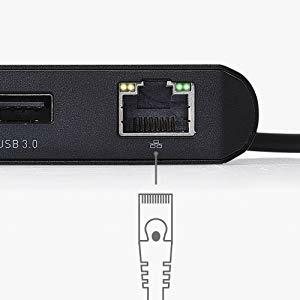 The 40Gbps bandwidth available on some Thunderbolt 3 computers supports two 4K @ 60Hz monitors or a single 5K @ 60Hz monitor over a single connection to your computer. A 5K display requires two DisplayPort cables (sold separately). Video resolutions 1440p @ 144Hz and HD 1080p @ 144Hz are also supported. Experience uncompressed, vibrant 4K video and authentic audio supported by monitors with DisplayPort for gaming, video streaming, or a multiple monitor desktop configuration. 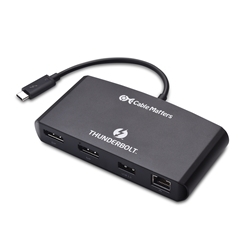 This powerful Thunderbolt 3 to DisplayPort Adapter is constructed with a rugged metal housing for long life and frequent use. 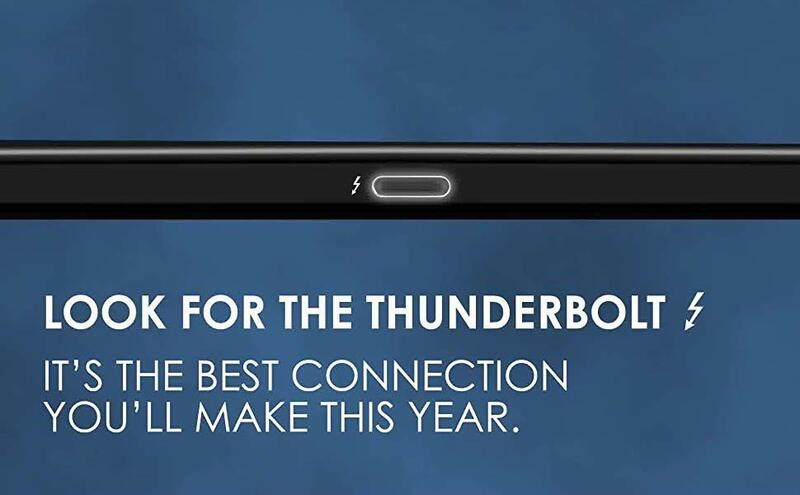 Check for the Thunderbolt logo on your Mac or Windows computer. It must support Thunderbolt 3 to work with this adapter. This adapter requires 5V/3A USB bus-power to function. Some laptops such as the Dell latitude 7370 only provide 5V/1.5A via Thunderbolt 3 and are not supported. Check with the PC manufacturer for this information. An active DisplayPort to HDMI / DVI adapter is required for compatibility. Passive adapters or cables are not compatible.